Many of you would have heard of the Irish tradition where women are allowed to propose on the 29th of February every 4 years. This tradition is believed to date back to the 5th Contrary when St Brigid of Kildare complained to St Patrick that women had to wait far too long for men to propose. St Patrick then decreed that women may propose on this one day in February. 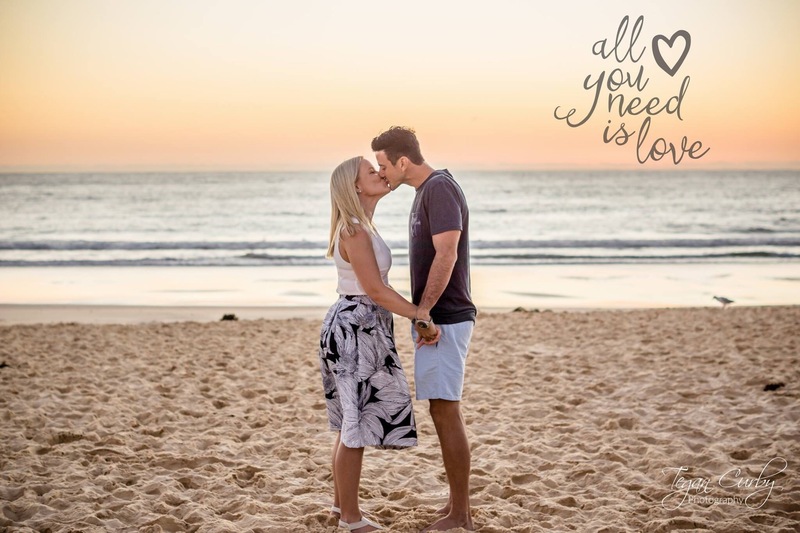 So with 10 days left until the day women can ‘officially’ propose, I thought I best write down my experiences from my rule breaking proposal on the weekend and give anyone planning or thinking of popping the question that extra little nudge. Firstly, my partner and I had discussed early on that when the time came I would like to be the one to propose. This was for a multitude of reasons that can be summed up in the fact that I wanted to show him that I am in this for the amazing man he is, the amazing love he shares with me and not for a diamond ring or a romantic engagement story to share with the girlfriends (although in my opinion I already got the latter and he is insistent on the ring). My proposal took place on the 14th of February which allowed me to hide the romance and kind gestures under the guise of Valentines Day and I can tell you for sure that when the time came that I was asking the questions- he was surprised! I planned my proposal around something he enjoyed (and I think you should too)…in my case that was time with his family. I had it all planned- the hotel room for the night before, dinner reservations and the picnic basket to be waiting for us in the lobby for a sunrise picnic breakfast on the beach- where it would all happen. The details of what happened that morning are not the important part here- but I will tell you it all went perfectly to plan and he emphatically said yes. We were able to celebrate with his family later that morning thanks to the help of his sister and mum and it was the most special day of my entire life. But before you go dreaming up your romantic proposal there are a few things you need to be prepared for. Firstly, are you sure he will say yes? Luckily for me I was quite certain that my partner and I were on the same page about where we were in our relationship and I already had his blessing to be the one to pop the question. However, many men that I have spoken to have said that if their partner asked they would say no – I am not sure if this is more a reflection on their relationship or how comfortable they are with their masculinity, but my advice would be to have the discussion first. A proposal takes a lot of planning- it wasn’t until I was trying to pull this thing off that I realised how much men (who are not innately good at planning anything in the future) go through! There are so many details to organise and its even harder to organise these details or make purchases and keep it all a secret from your partner. More little white lies have come out of my mouth than I ever care to again to cover up my purchases or my behaviour over the last few months. Aside from the lying part, I had so much fun organising this. As women we can put our little romantic twists on the day and it can be a combination of things you both enjoy- after all it is a big day for you both. The days following were filled with so much love and congratulations sent from all over the country and world. There was also a lot of positivity around the fact that I had asked- both from my partners friends and mine. What I was surprised at was the little pieces of negativity that would be shared with us both at such a happy time. Some people shared their ‘sadness’ that I had ‘missed out’ on being proposed to – if this what an issue for me I wouldn’t have asked. To me, my proposal was the most perfect day ever and I have an amazing story to tell the grandkids! Or that I ‘missed out’ on a ring. Hello people wake up – I got all I have every wanted in life! I couldn’t care less about some silly over priced diamond when I now get to spend the rest of my life with the most amazing person in this world- that makes me far happier than any object ever could. You would be amazed at how many people think I must be pregnant to have been the one to ask and to set the record straight- no I am not pregnant! I also got asked why I didn’t wait until the 29th and ask when I’m ‘allowed’ to. As far as I am aware I have broken no laws by asking the man of my dreams to marry me, and for me it was just a coincidence that this happened to be in a leap year – I would happily do the same again any day of any year. So, if you have been planning on proposing to your significant other. I give you all the encouragement in the world- it truly was the most amazing day and I wouldn’t change one thing. Just be prepared that some others may not agree with what you do- but in my experience they eventually come around and realise that you have just shown the courage to do something that most women never will. So go get it girls! From what I have read and know about you, it’s you that is the most amazing person in the world and as for the man that you asked to marry is in fact the luckiest, happiest and proudest person in the world.